It is a well-known fact that when a company performs both VAT taxable and non-taxable sales under the meaning of the Value Added Tax Act (VAT Act), for all purchases which cannot be assigned to one of these categories of sales, the company is entitled to a partial VAT credit right. 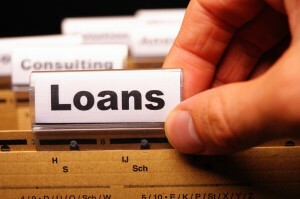 In relation to the above, an interesting case occurs when the company extends a loan. As an example, let’s assume that the loan interest is due every 6 months. Providing a loan against interest is a VAT non-taxable deal. The loan, by nature, presents a deal with continuous performance and the tax event occurs on the when the payment becomes due (in the example, every 6 months). This means that the interest will be reported every 6 months for VAT purposes. Let’s also assume that the company issues an invoice for the interest (perfectly acceptable) and, as the deal is VAT non-taxable, extra VAT will not be accrued. At the same time the company continues to perform each month other sales which are VAT taxable. The company also makes purchases, which cannot be really defined as what part relates to VAT taxable deals and what part to VAT non-taxable one (the extended loan) – e.g. office rent, general legal services, electricity and other supplies, etc. We will call them “general” purchases. In this case, a mistake is often made as far as partial VAT credit is concerned. As the company issues an invoice for the interest every 6 months, a partial tax credit for the received “general” purchases are report only for the months, when the interest invoice was issued, i.e. only 2 months a year. For the rest months, the “general” purchases are reported with a full tax credit right. Respectively, as of the end of the year, when performing the leveling the partial VAT credit pro rata the annual sales, the base for leveling (the total amount of partial tax credit for the year) is significantly lower than the real amount and the VAT Act is actually offended. As the loan is a deal with continuous performance since moment the loan is extended until full repayment, the deal is treated as it is performed continuously during the whole period, regardless when the invoice is issued. I.e. the issuance of the interest invoice does not define performance of the loan deal, but only documents the occurrence of the tax event and the due interest. This means that for any month during which the loan stays as “granted”, “general” purchases must be reported with a partial VAT credit right. And what if the loan is interest-free? VAT Act determines that a VAT non-taxable supply if a loan extended against consideration (interest). If the loan does not bear interest or other consideration, then we can treat it as a VAT taxable deal (of course in this case the interest will be taxable at 20% VAT, but as interest is “0″, then the VAT will also be set at zero). This conclusion is not widely popular, but if necessary it can be used at least as tax defense, as it is fully based on the existing VAT regulations. As an important note, lenders should be careful with interest-free loans in general, as this often hides tax risks, especially under the regulations of the Corporate Income Tax Act (CITA). This entry was posted in Taxes, VAT act and tagged interest, loan, partial vat credit, tax event, VAT credit. Bookmark the permalink.